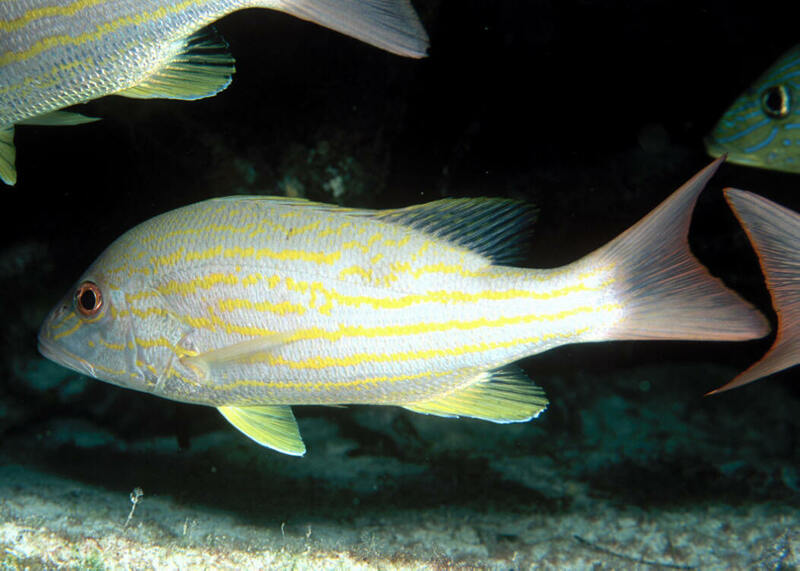 Lutjanus synagris (Linnaeus 1758), the Lane Snapper. Western Atlantic; North Carolina to Brazil, Gulf of Mexico. To two feet in length, most under a foot. RMF pic of pink tail spot-less phase one in the Bahamas. 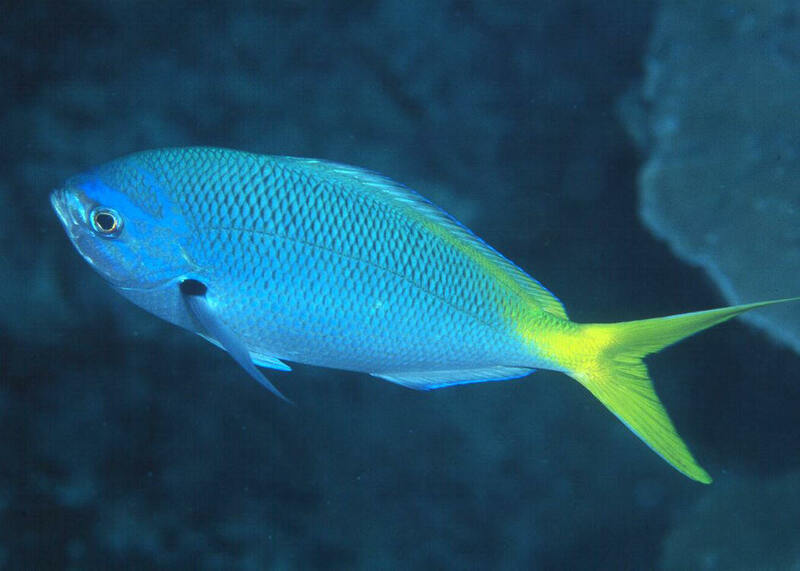 Caesio caerulaurea Lacepede 1801, the Blue and Gold Fusilier. Indo-West Pacific; Red Sea, eastern Africa to Japan and New Caledonia. One at a cleaning station w/ a Labroides dimidiatus in Bali 2014. Caesio cuning (Bloch 1791), the Red-Bellied Fusilier. Indo-West Pacific. To about ten inches maximum length. This one in Australian waters off Heron Is. Caesio cuning (Bloch 1791), the Red-Bellied Fusilier. Indo-West Pacific. To about ten inches maximum length. This one in S. Sulawesi in Wakatobi. Fusiliers can/do change color rapidly; apparently depending on their mood.